Device date storage:the Date will be cleared at 12 O' clock of the night as a cycle,but the device itself could restore 7 days' date,after 7 days,the date will be cleared,We suggest user to sync date with app at least one time within 7 days during use. Heart rate date connect be used as medical date,only to do the auxiliary reference. If you wear it and are felling uncomfortable,please stop use it immediately. 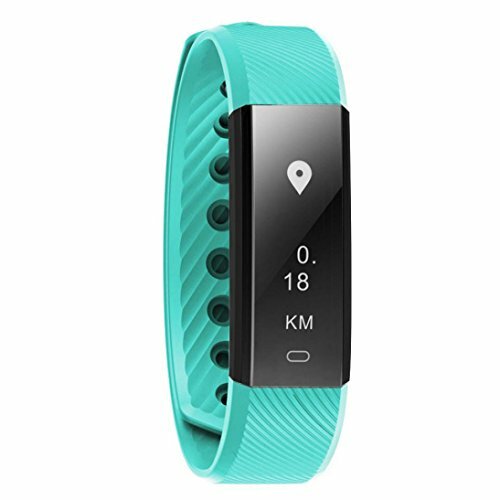 MAIN FUNCTION:Accurately record your all-day activities and state of health, including steps, distance, calories, sleep status, blood pressure, heart rate.Incoming call notification, various message push and content display.You will never miss a call and a message. WARRANTY AND SUPPORT : 7*24 online support standing by, RISK FREE 100% money-back guarantee, 1-Years Replacement Warranty and life-time technical support.